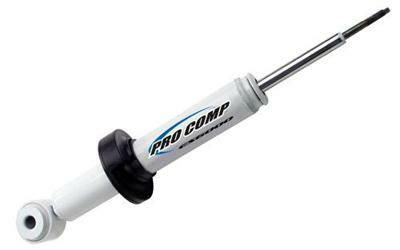 These Pro Comp ES6000 shocks have an expanded, gas-cell-charged, twin-tube design. This increases fluid capacity by 50 percent, reduces internal operating temperatures, and protects vital components. They are engineered for demanding driving comditions and optimum load control. The Pro Comp ES6000 shocks feature increased compression and rebound control, velocity-sensitive valving, and nitrogen gas pressuriziation for enhanced off-road handling and performance.